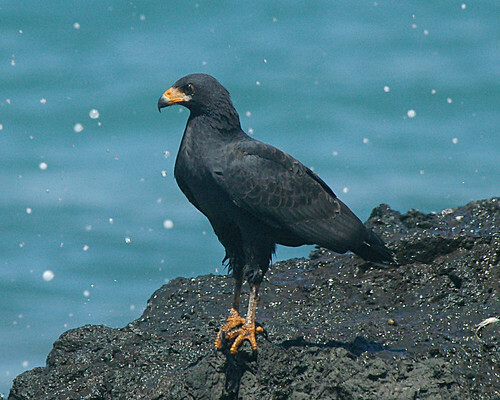 This Common Black-Hawk was perched on a small elevated portion of the rock, on the edge of the splashing surf, along the coast of the Osa Peninsula, near Corcovado National Park - Feb 2005. Note the dry rock in the foreground and the wet feathers on the legs. The water droplets in the background are from the crashing surf.